Monika Simmons is a Leasing Agent and brings over a decade of real estate experience and a strong performance track record in the industry. Prior to joining Specialized Property Management, Monika worked as a Realtor with RE/MAX Platinum for ten years, where she also was extensively involved in property management operations. As a Sales and Leasing Associate, she received awards for Top Producer, Top Listing Agent, Multi-Million Dollar Producer and RE/MAX’s Distinguished Executive Club award. 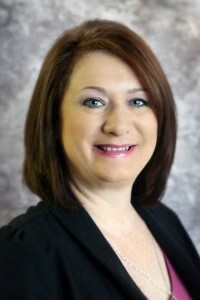 Monika was also an accomplished REO listing agent for GMAC Homecomings Financial and Amegy Bank. Monika is married with three children, three dogs, and two cats, and enjoys spending time at home with them. She has held a real estate license since 2005 and has accumulated over 524 hours in continuing real estate education. Monika also holds an Associate’s Degree in Business from The Art Institute of Dallas.